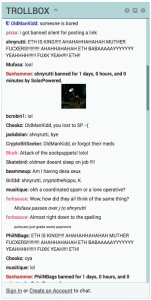 ← Trouble in the R3 paradise? Originally posted on Oct 22 2016 as “The Ongoing Ethereum Attacks (Work In Progress)”, but renamed after finding the links to the mining pools. 05:55 Oct 23 2016 UTC – First estimate of the number of accounts created by the SUICIDE opcode is 19,041,840 by retrieving the information from Parity. The original estimate was manually computed by viewing the transactions in etherscan.io, which did not pick up most of the empty accounts. Compare to 777,647 real accounts. That’s why your syncing has been taking such a long time. 13:48 Oct 25 2016 UTC – added further analysis by /r/Jey_s_TeArS to the bottom of the Summary section. 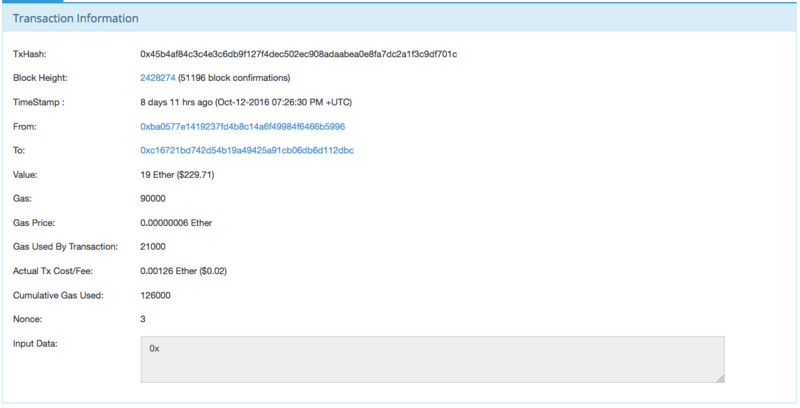 21:47 Oct 25 2016 UTC – added comment by /r/DwarfPool to the bottom of the Summary section. The Ethereum network has been undergoing a series of attacks since the Devcon2 Ethereum Developers Conference on Sep 18 2016. The Ethereum network activated a hard fork on Oct 19 2016 that successfully stopped the spam transaction attack. Less than a day after the hard fork, a new wave of attacks was executed by the attacker, but these attacks have had less impact on the Ethereum network. The attacks have now ceased, for the moment at least. The attacker may have given up as the second wave of attacks have had little impact on the network. The attacker’s transactions have been anonymous until now. 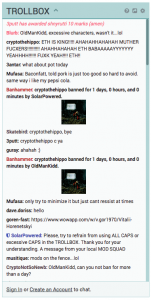 The tracing of the transactions below eventually led to the transactions showing that the attacker has used the services of the EthPool and DwarfPool mining pools. These mining pool transactions could reveal the attacker’s IP address, assuming none of the accounts involved have had their private keys stolen. Whether anyone will pursue the attacker is unknown at this point in time. The attacker could be the same USD 50 million The DAO hacker, or someone who wants us to think that. 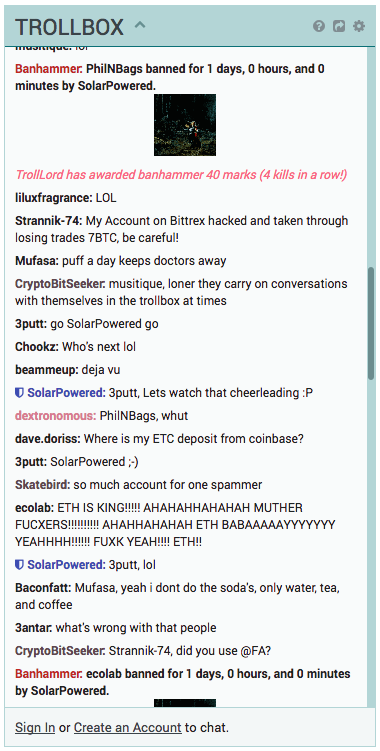 Some of the attacking accounts donated a few Classic ethers (ETC) to the Ethereum Classic development account, the same account The DAO hacker contributed 1,000 ETCs to when they had access to their booty. And both attackers made the same measly order of donation to the Ethereum Classic development fund. One positive aspect of these attacks is the improvement of the security of the Ethereum network while still in it’s early phase. Overall, the Ethereum network kept on chugging along despite the repeated attacks. Many nodes crashed in the first attack, but due to the diversity in node clients, the network continued running. With the spam transaction attacks, node clients were slowed down especially nodes with limited RAM and non-solid state storage. With the many millions of empty account attack, node clients were slowed down further. Users had trouble syncing their full node wallets. Transactions could not be submitted with normal fees – some transactions fees were raised up to 45x the normal fee as this prioritises the transactions. Large smart contracts could not be deployed as the miners were advised to lower the gasLimit to reduce the effects of the spam transactions. 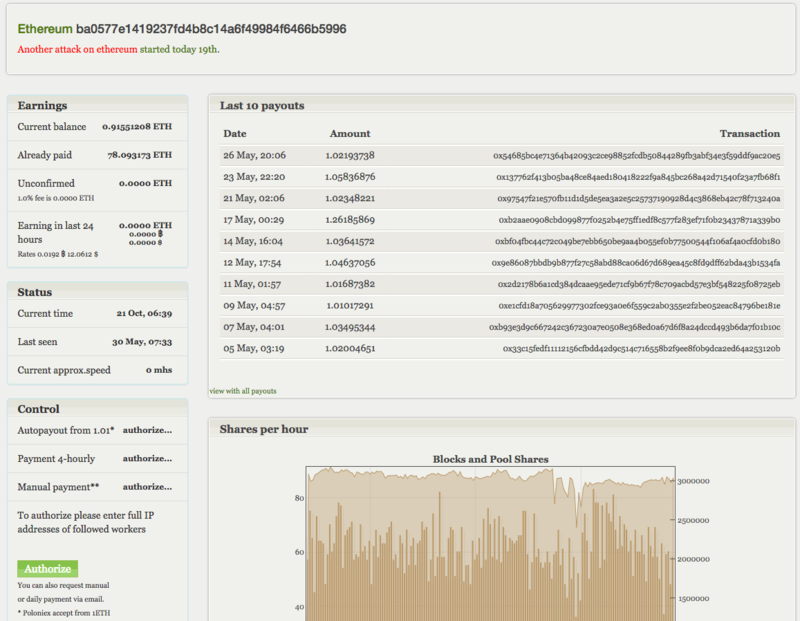 Some miners started mining blocks with zero transactions for fear of slowing down their nodes. But the network kept on chugging along and hopefully will continue to do so. A very nice resilient network decentralised over 7483 nodes. If you care to carry on investigating let me know if I can be of any help. Click here for /r/Jey_s_TeArS's "quick analysis". The current fee for the DoS tx seems to be settled now at 0.027 eth. If a tx is included in a block every 15 sec, this attack is costing 6.48 eth per hour or 155.52 eth per day. At 2312624, the sum of the balances of the addresses calling the contract (see below) is 150 eth, so expect at least 24 hours of trouble. This “testing addresses” lead to this contract address : https://etherscan.io/address/0x45FAeC35E32676568ad827AEa17FB7431EF390bC the address that created currently used contract (0x0c35a2e…) interacted with it. IP addresses are known a long time ago, I write also to ethcore-team ISP of attackers. But how can it help? Update 01:18 Oct 22 2016 UTC – A Perl script and the raw data for the 6 known offensive contracts is available in github.com/bokkypoobah/EthereumNetworkAttackData. 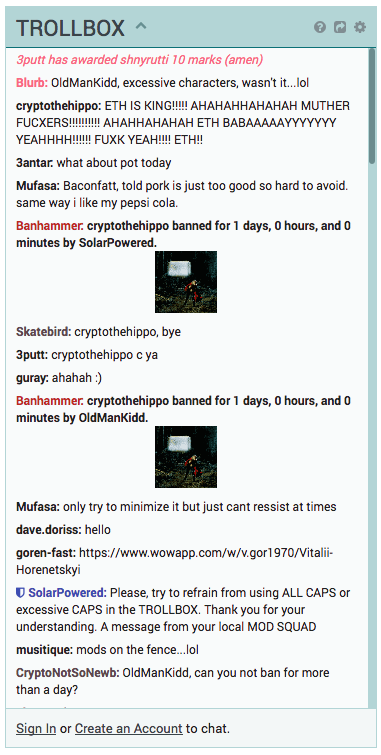 Posted on reddit/r/ethereum – The Ongoing Ethereum Attacks (Work In Progress) and Hacker News. The first attack started on block #2,283,416 at Sep-18-2016 06:04:56 PM +UTC (01:04:56 Sep 19 Shanghai time) and targeted the go-ethereum geth clients, causing a memory error and shutting down these nodes across the network. Part of the design of the Ethereum network is the diversity of node clients. While geth (implemented in Go) crashed, Parity (implemented in Rust) and EthereumJ (implemented in Java) kept the network running. geth – From Shanghai, with love (v1.4.12) was released on Sep 19 with the these code change. 0x1fa0e1dfa88b371fcedf6225b3d8ad4e3bacef0e. This was funded from 0x1ff804d8e15d54dc44793269b7749c36c775cb56 at Oct-01-2016 01:58:01 AM +UTC, which was funded from Poloniex in tx 0x7eff…7855 at Sep-21-2016 09:54:26 PM +UTC. 0x40525ac2fe3befe27a4e73757178d4accfef71da. This was funded from 0x1ff804d8e15d54dc44793269b7749c36c775cb56 at Oct-01-2016 02:11:03 AM +UTC, which was funded from Poloniex in tx 0x7eff..7855 at Sep-21-2016 09:54:26 PM +UTC. 0xd3e32594cedbc102d739142aa70d21f4caea5618. This was funded from 0x1ff804d8e15d54dc44793269b7749c36c775cb56 at Oct-01-2016 02:11:03 AM +UTC, which was funded from Poloniex in tx 0x7eff..7855 at Sep-21-2016 09:54:26 PM +UTC. 0xde21bc367afe7a3705a15255ff46a5ae91e8341c This was funded from 0x1ff804d8e15d54dc44793269b7749c36c775cb56 at Oct-01-2016 02:11:03 AM +UTC, which was funded from Poloniex in tx 0x7eff..7855 at Sep-21-2016 09:54:26 PM +UTC. The attacker sent low cost transactions to create many millions of empty accounts on the Ethereum blockchain, slowing down the processing of the Ethereum node clients. Update 05:55 Oct 23 2016 UTC – First estimate of the number of accounts created by the SUICIDE opcode is 19,041,840 by retrieving the information from Parity. The original estimate was manually computed by viewing the transactions in etherscan.io, which did not pick up most of the empty accounts. Compare to 777,647 real accounts. That’s why your syncing has been taking such a long time. Has 4751 transaction executed against it, 1 for the creation and 4750 to execute the offensive code. Of the 4750 transaction, 4746 generated 500 empty accounts each and the last 4 ran out of gas and only generated 121 empty accounts. In total ~ (4 x 121) + (4,746 x 500) = 2,373,484 empty accounts were created. CREATE empty account creator contract – 0x7c20218efc2e07c8fe2532ff860d4a5d8287cb31. This contract was created in tx 0xc590…5b2d in #2,423,558 at Oct-12-2016 12:16:02 AM +UTC from 0xfcd004fbad7e8ffee821d8a10d7f0685b14933b1, which was mined 434 days ago and is traced below. 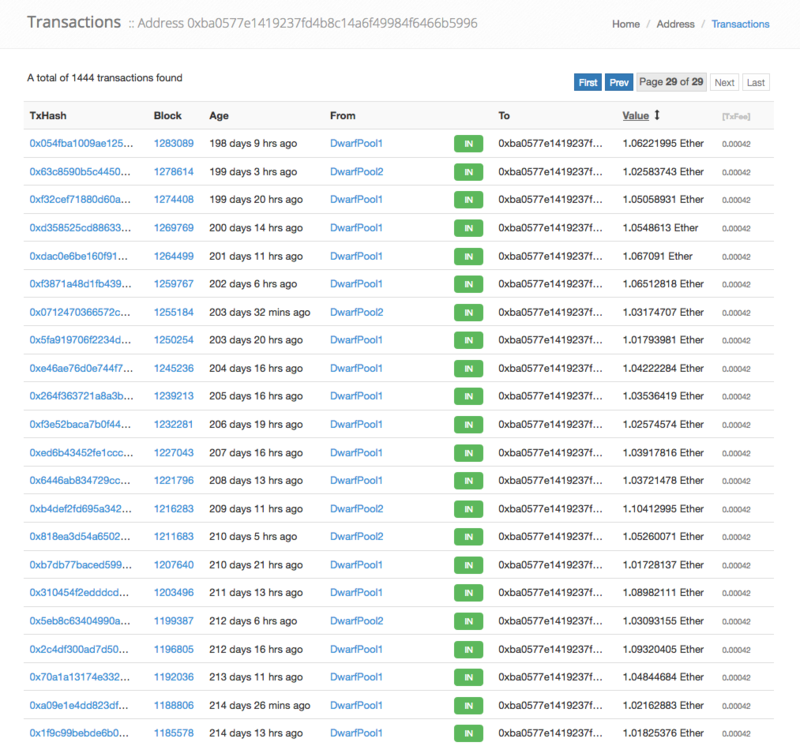 Each of the 34,148 transactions created an empty account. A total of ~2,373,484 + 34,148 = 2,407,632 empty accounts were created. This is what the next state bloat hard fork intends to clean up. geth – Note 7 (v1.4.18), Parity v1.3.8, ethereumj v1.3.6 and Ethereum Wallet/Mist v0.8.6 activated a Gas Reprice hard fork on #2,463,000 at Oct-18-2016 01:19:31 PM +UTC rendering the spam DoS transactions above obsolete. Was created in tx 0x4ac5…f334 in #2,468,199 at Oct-19-2016 09:38:25 AM +UTC) from 0xfcd004fbad7e8ffee821d8a10d7f0685b14933b1. The ethers from this account were mined over 434 days ago. Was created in tx 0xc590…5b2d in #2,468,662 at Oct-19-2016 11:36:21 AM +UTC from 0xfcd004fbad7e8ffee821d8a10d7f0685b14933b1. The ethers from this account were mined over 434 days ago. The reason why this stopped ?temporarily is because all the accounts including 0xfcd004fbad7e8ffee821d8a10d7f0685b14933b1, 0x3318183894290cfa67e3c76767183ae4e8cd2ad3, 0x8e3d6a8496cbac7ea255fe35be5d8e03a419c71a and 0xcc2c2cd417a9c39cf0e48622988dbec0b1b37064ran out of ethers, and the attacker must be asleep. Some of these pools require IP addresses that the miner is mining from to confirm the miner’s credentials. User /u/tsunamiboy6776 asked on First Ethereum hard fork successful; second imminent “How could the ip be used? Couldn’t be using a proxy or vpn?”. The attacker could use a proxy, VPN or ?TOR to hide their IP address, but it is highly unlikely they would have done so. It is far easier to hide the association between your IP address and your Ethereum mining rewards account just by solo mining. And this pool mining was conducted before the idea of The DAO was floated, with the juicy USD 50 million bug in the code. The attacker could have planned these attacks well in advance, but why would they bother pool mining if they could just solo mine anonymously with higher profitability compared to pool mining via a proxy/VPN/?TOR that adds some latency in the pool mining process? I think it was a slip up using a traceable account to mount the attacks. So my guess would be – a C, C++, Java, Assembly Language developer, mid 30s to mid 40s, male, small time miner with the rig small enough to fit in the unit or house, basement or garage, 5 foot 8 inches, long hair :-). And the IP address will point directly to the attacker’s home, but someone will have to get the IP address from DwarfPool and then find out the physical address or owner from the ISP. I don’t know whether the three-letter-acronym agencies would bother. We could set up a prediction event on Augur or Gnosis and place our bets. It hasn’t come up yet in the thread, but 15 hrs after the attacks finished they dumped into account 0xe9a7e26bf5c05fe3bae272d4c940bd7158611ce9 . This is our public etc dev account, and is not involved with the attack. The funds received will be frozen, same as the dao funds received as far as I’m concerned. 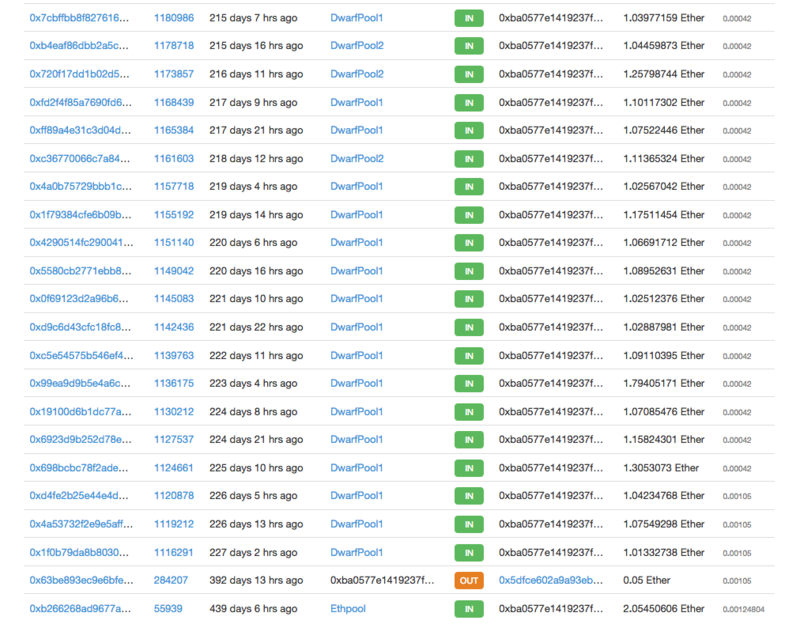 As traced on The Hacker Has Just Withdrawn Their Booty From The DAO On The ETC Chain, The DAO hacker donated 1000 ETCs out from their 3642408.5276 ETC (~ USD 3.7 million) The DAO hack booty to the same Ethereum Classic development account in tx 0x38d8…198b at Sep-05-2016 22:34:13 UTC. 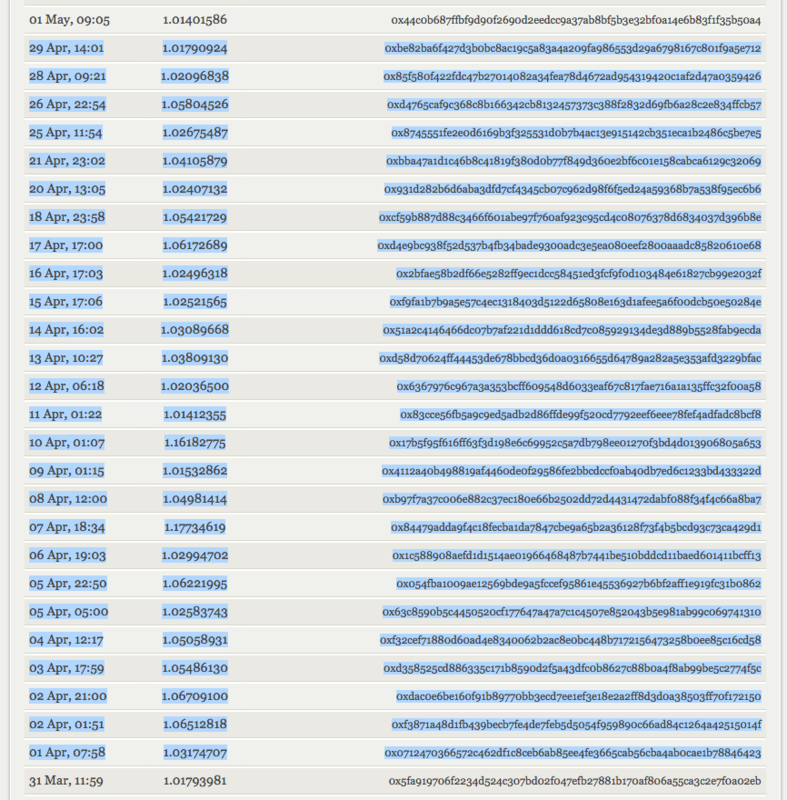 This same account was sent ETCs from some of the spam DoS transaction accounts listed above, including 1.7754 ETCs from the account 0xfcd004fbad7e8ffee821d8a10d7f0685b14933b1 in tx 0xd469…1ab9 at Oct-20-2016 12:28:31 UTC. A lone operative could easily have been behind the attack as the sending out of the spam transactions can be easily automated. 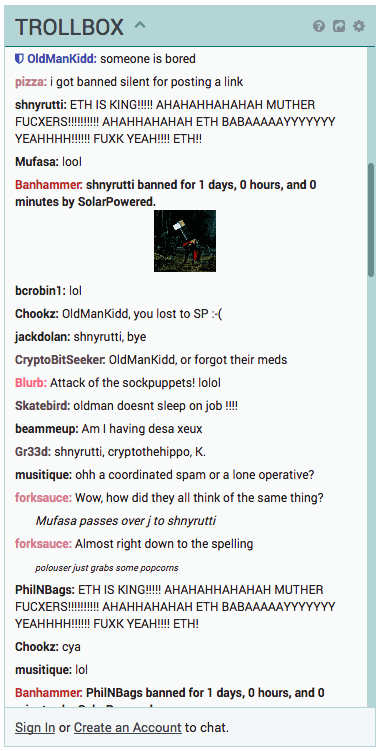 Meanwhile, multiple people were banned for a day from the Polo TrollBox while overexcitedly discussing whether the attacks was the work of “coordinated spam or lone operative”. 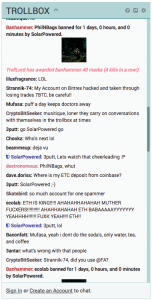 This entry was posted in Blog and tagged Attack, Ethereum. Bookmark the permalink.